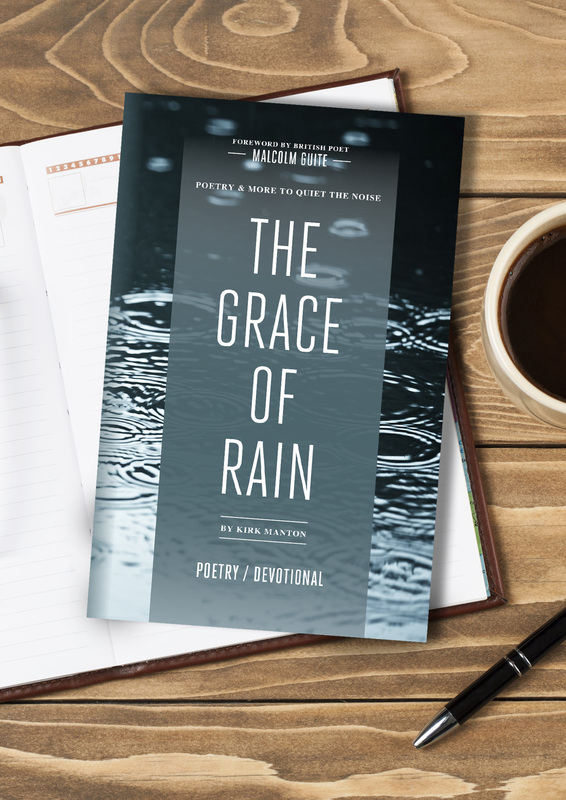 On this page, you’ll find links to access/download materials for The Grace of Rain. If there is anything else you need, please contact kirkmanton@gmail.com. Long-form copy for newsletters, email, blog posts, etc. 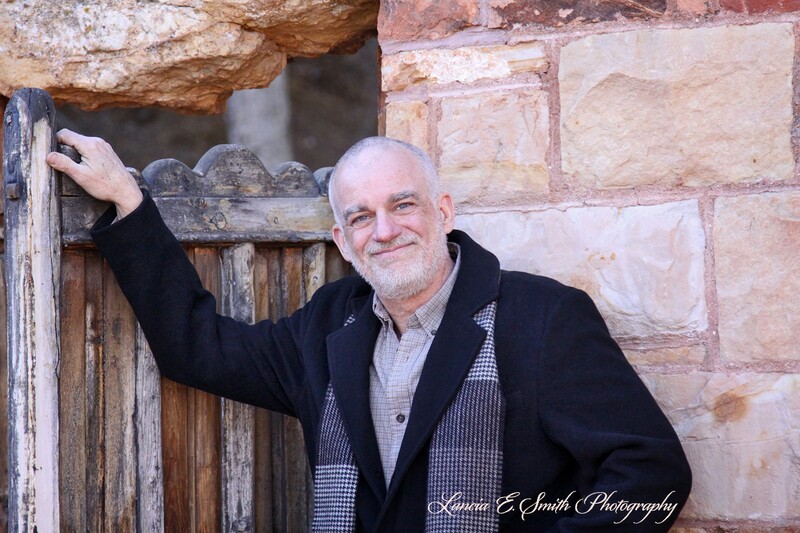 Speaker, mentor, and poet Kirk Manton has released a unique new book that combines moving poetry and intriguing back stories with inspirational devotionals. It’s called The Grace of Rain. “I was deeply moved as I read The Grace of Rain. Manton has a genius for combining poetry with personal reflection and spiritual challenge.” –Diana Pavlac Glyer, professor of English and author of The Company They Keep and Bandersnatch: C. S. Lewis, J. R. R. Tolkien, and the Creative Collaboration of the Inklings. The purpose of this book is to help revive the powerful tradition of Christian poetry, to encourage and equip the reader to experience deeper and more consistent intimacy with God, throughout the pains and joys of life. 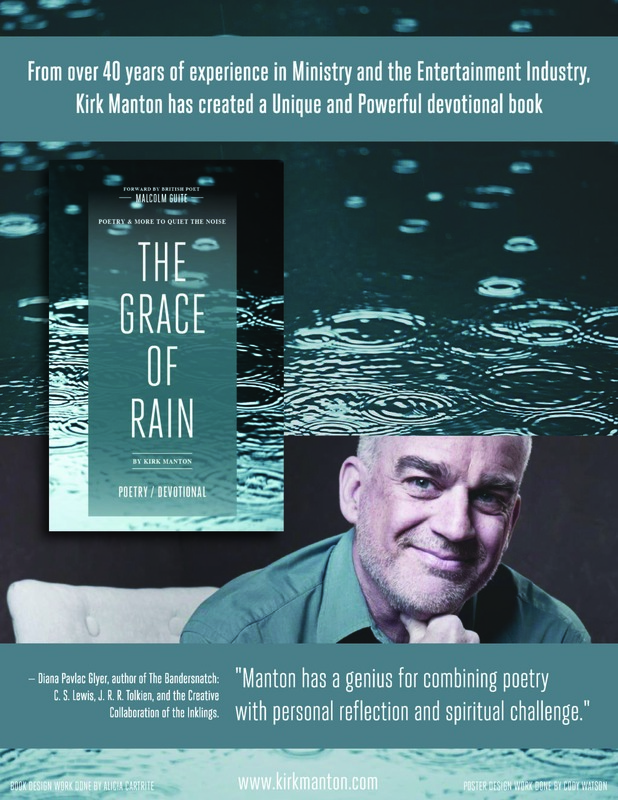 Kirk draws upon over forty years of walking with God in ministry and the entertainment industry, wonderful victories and deep personal sorrows, to craft this one-of-kind poetry book, written in a one-month devotional style. Get this book today and begin experiencing this rich new poetic voice and a closer walk with God. Listening for God’s voice through the Word, nature, and the arts can lead to the habit of hearing Him everywhere. That is the extraordinary life we were all created to live. Kirk Manton draws upon a lifetime of experiences as an ordinary person walking with an extraordinary God to write poetry and devotionals that are accessible, meaningful and inspirational. 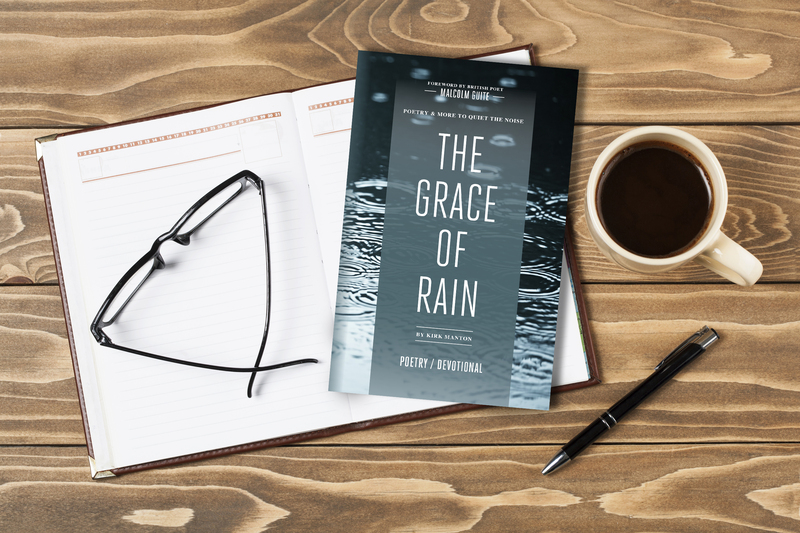 Soak in the thirty-one chapters of The Grace of Rain, and you will experience a deeper, more intimate walk with God. 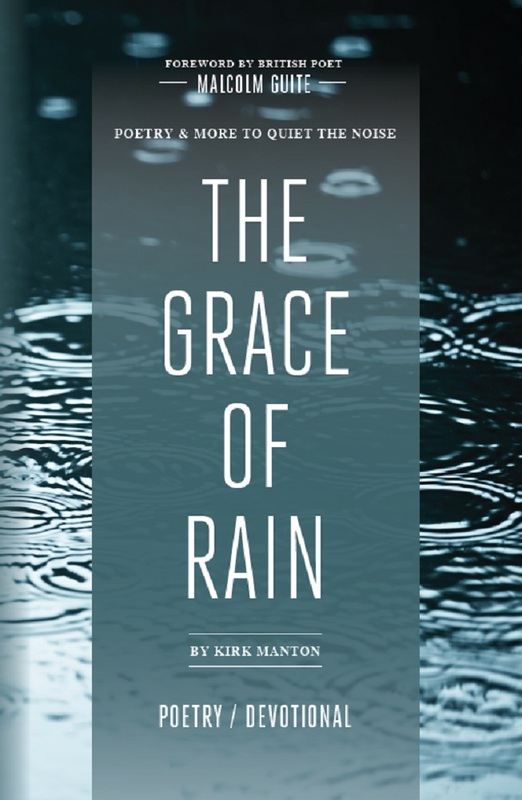 Kirk Manton has released his first book, a unique work of poetry, backstory, and devotional —The Grace of Rain. 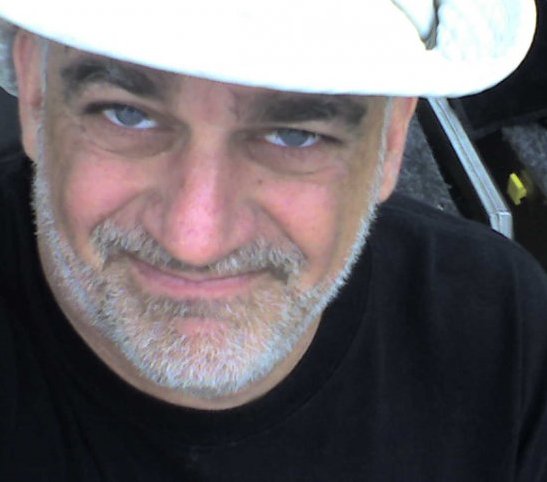 Kirk has been in ministry and the entertainment industry for over forty years. 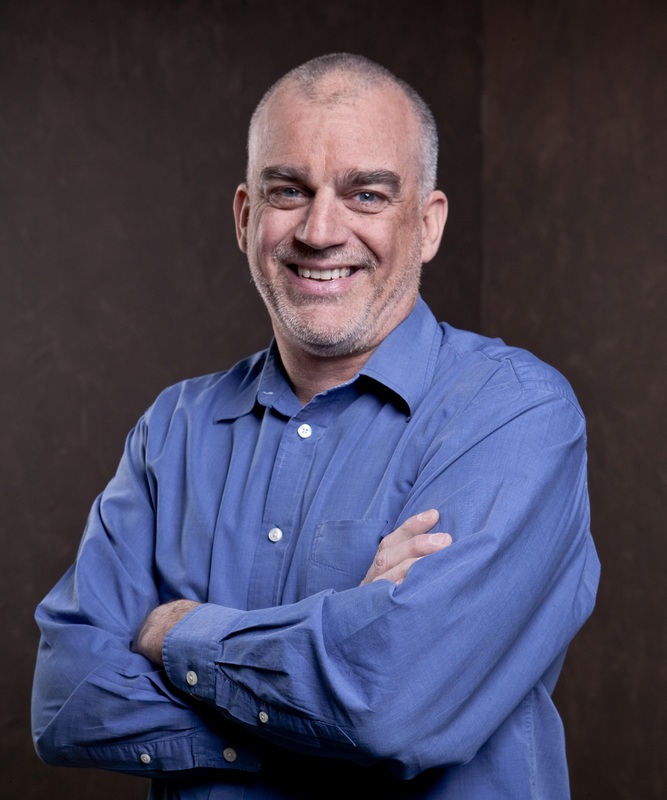 He currently directs production services for Trinity Fellowship in Amarillo, Texas and the C.S. Lewis Foundation in the U.S. and abroad. His career path has included: Live Entertainment Supervisor, Film Lighting Professional, Business Manager, and Youth Pastor. 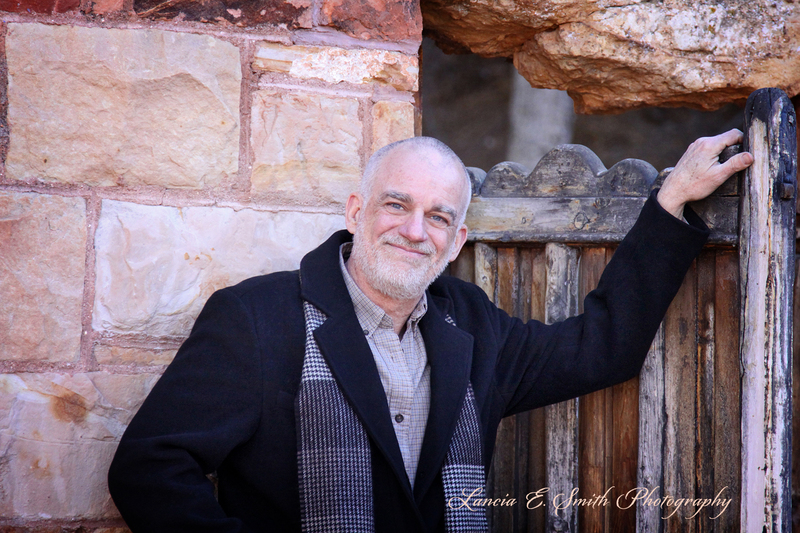 He has a bachelor’s degree in religious studies and has always been an aggressive self-taught learner in every field he has been called to. 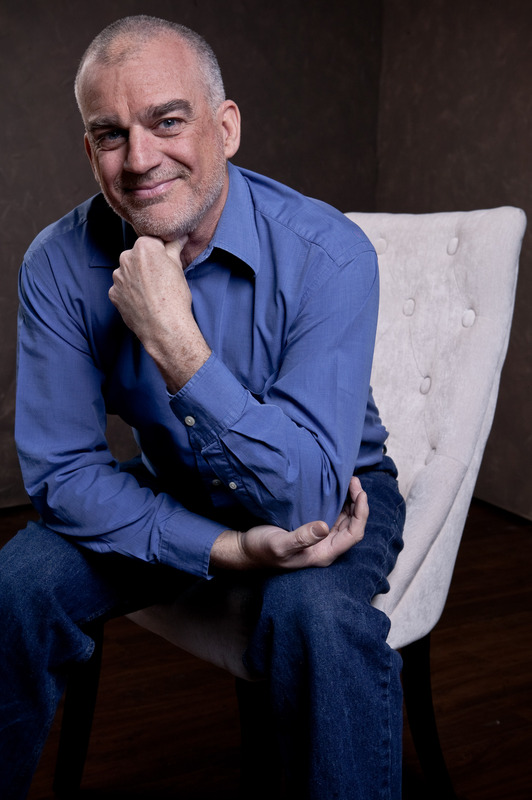 As a natural speaker, mentor, and poet, Kirk has a passion for helping people grow in their intimacy with God. Kirk was born in Ohio, raised in Southern California and now lives in Amarillo, Texas with his wife Rachelle. He has helped raise a birth daughter, adopted son, stepdaughter, goddaughter and there are grown foster children who still call him Dad. Click on the images to isolate and download. Feel free to use these images of me. Just click on the image and it will automatically download.